Spring is high time for deep cleaning, but if you have middle-school-aged kids, spring is also science-fair season. In years past, I鈥檝e endured my kids鈥� experiments using dirty pennies and lemon-powered lights with faint interest. This year, though, my youngest decided to experiment with something actually pertinent to my life as a messy cook: stain removers. From aprons to pot holders, it seems I can鈥檛 help but horribly stain every piece of fabric in my kitchen. And when friends come over and want to help out, it鈥檚 embarrassing when they reach for a dish towel riddled with gross stains. Even when my towels are clean, they don鈥檛 look it. So I was definitely interested in my daughter鈥檚 experiment comparing the efficacy of an eco-friendly plant-based stain remover (Method) to a very popular more mainstream brand (Shout). Her hypothesis was the same as mine: The mainstream brand, with its petroleum-based chemicals, would certainly perform better than the eco-friendly one, made almost completely with plant-derived, biodegradable ingredients. After all, why would the manufacturers use chemicals that harm the environment if they weren鈥檛 the most effective at removing stains? Turns out we were wrong. In her experiment using a sample size of 10 swatches, Method proved to remove marinara sauce stains far better than Shout. But even though her experiment was over, mine was just starting. What about wine stains? Chocolate stains? Or stains with lots of proteins and grease? 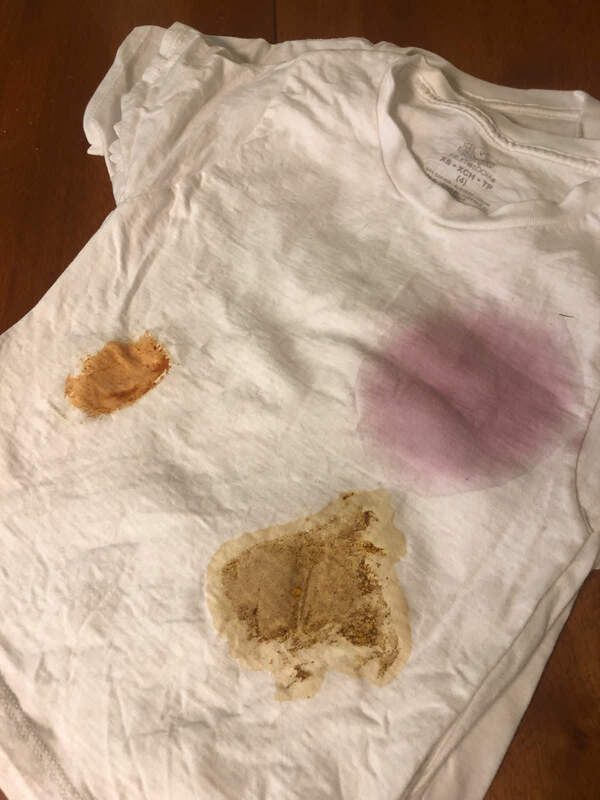 I performed my own experiment staining a few cotton T-shirts with blobs of wine, ketchup, Nutella, and lamb curry from the previous night鈥檚 dinner. I let the stains sit overnight, then treated one set with Method, one with Shout, and one with nothing (as the control). I let the gels sit on the stains the recommended five minutes before washing, and I washed them separately on warm without detergent. Right off the bat, Method worked way better than Shout. But the stains weren鈥檛 completely gone 鈥� especially the wine and curry stains. Would it be possible to ever get rid of those? What would it take? The stain-free future of my dish towels depended on this. I stain-treated them again and washed them with detergent (ALL Free and Clear). 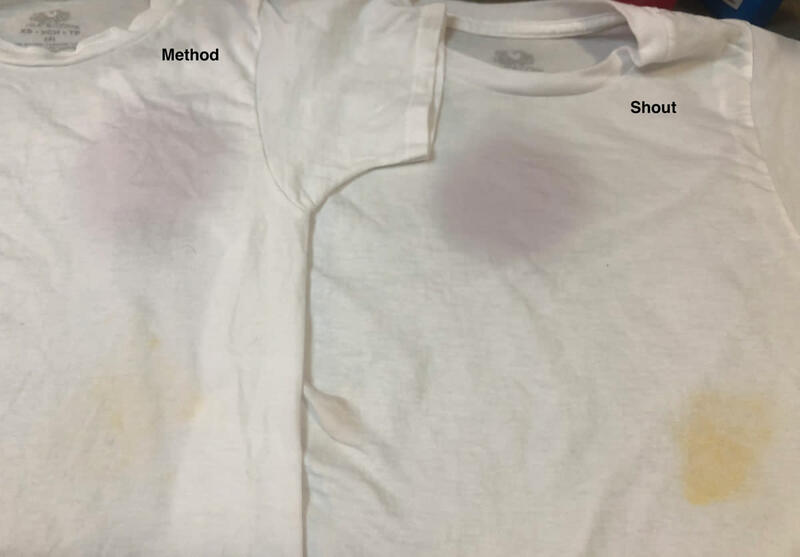 This time the stains were gone on the Method shirt except for the slightest trace of curry stain. The Shout shirt still looked bad. 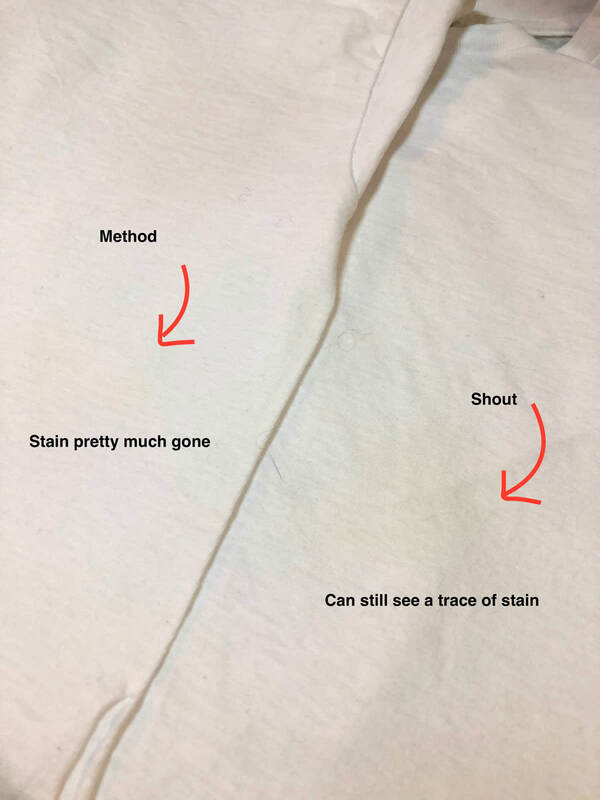 I treated the shirts a third time and washed them with a scoop of OxiClean 鈥� and lo and behold, those trace bits of color were gone on the Method shirt (not so with Shout). Comparing the ingredients of each, I noticed that Method lists an optical brightener but Shout doesn鈥檛. Perhaps that鈥檚 why Method was so good at making the stains disappear? As I learned from my kid鈥檚 project, optical brighteners oxidize color molecules so they don鈥檛 appear as dark, or they reflect black light and cover the stain, making it harder to see. It鈥檚 also why a scoop of OxiClean, another optical brightener, really finished the job. So now I have my ideal recipe for stain removal next time I dribble wine or make a mess of my dish towels: Treat with Method, then wash with detergent and a scoop of OxiClean. It might take two washes to really kiss those stains goodbye, but as long they don鈥檛 go in the dryer between cycles (the heat can set the stain before it鈥檚 fully lifted) I can keep the hope alive. 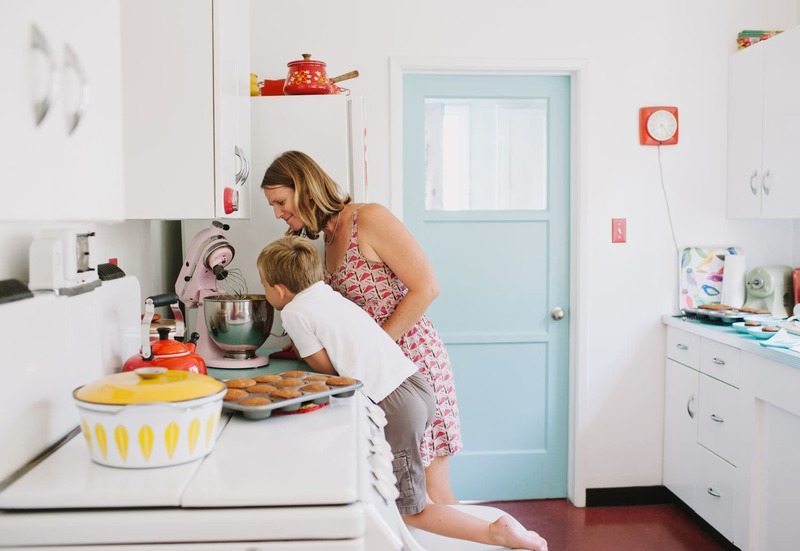 What do you do to keep your dish towels looking like new?